Monte Albán is one of the most representative archaeological sites in Oaxaca; but also throughout the Central Valleys other sites that were centers of power after the fall of Monte Albán, such as Lambityeco, can be explored. 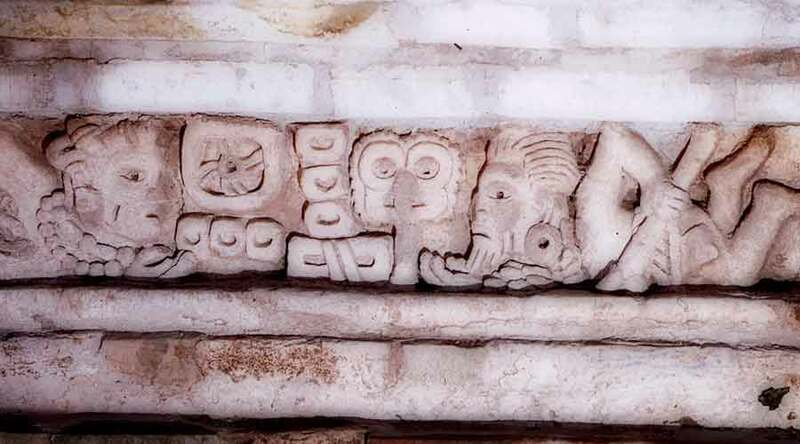 The majesty of this site, located in the Central Valleys of Oaxaca, is due to the presence of extraordinary sculptural pieces that adorn the walls of the ceremonial center, among them, peculiar masks of stone and mud that represent great deities and royalty. Unlike other places that based their economy on agriculture, Lambityeco was an important economic center because its inhabitants stood out as producers and exporters of salt. For those events and more, you can not miss the opportunity to know the archaeological zone of Lambityeco, which is believed to be the successor of Monte Albán when it fell; as well as the imposing friezes, tombs, temazcales, and admire the lady and Mr. Cocijo. Lambityeco Archaeological Site is located in the Valley of Tlacolula, belonging to the Central Valleys of Oaxaca. Due to the timing of its occupation, it is contemporary to Monte Albán, and was inserted into the latter’s trading system as a site specialized in the production of salt, which was obtained by evaporating the water collected from the Salado River in large containers. 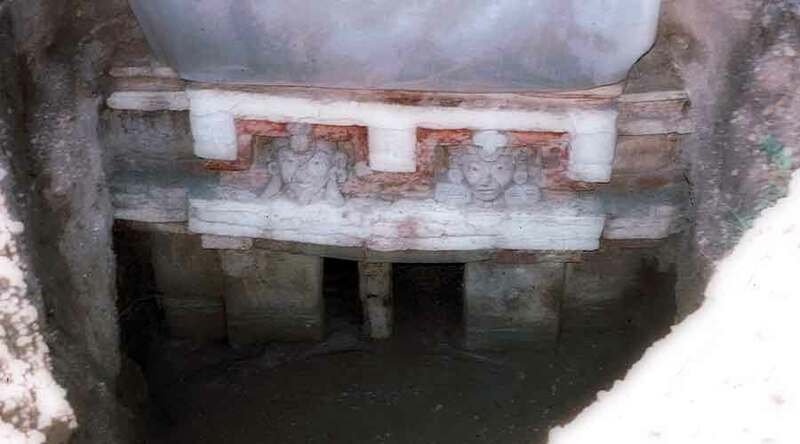 The Zapotec lineage established here was characterized by the artistic richness that it reflected in decorative architectural elements such as stuccoed reliefs and mural painting, as well as in artifacts carved in bone, and in the different funeral urns recovered in existing burials. After Monte Albán ceased to be the hegemonic settlement in the Valley of Oaxaca, Lambityeco Archaeological Site and other small settlements retook the power and political control of lesser territories, but established, like other ethnic groups in Mesoamerica, matrimonial alliances between the different lineages, a situation that gave political and economic stability to the region. They are represented in stucco, the faces of Lord 1 Tremor and Lady 10 Reed, who belonged to the Racoqui dynasty. These sculptures constitute a characteristic of Oaxaca, since they are the portraits of these characters. In addition, when studying the remains, as the Racoqui wore femurs in their hands, it is believed that each Coqui removed from the tomb the femur of his father to use as a symbol of his right to be Coqui hereditary. They represent one of the most important deities of the Zapotec pantheon. El Cocijo wears a mask that covers most of his face; the eyes are framed with a kind of blinder; The nose has a thick plate that joins the lower part of the forehead and the mask. On the mask you can see a large feather headdress and glyph C in the center; of the headdress stand two ribbons decorated at their ends with green stone beads. On the sides he wears circular ear cups on a base of feathers. Stresses the pectoral, composed of a circular plate superimposed on another semirrectangular; possibly represents a mosaic of shell, jade and obsidian. In the right hand holds a vessel from which flows a stream of water or river; on the left he has a series of rays, related to his name of God of Lightning and Thunder. Each one shows a couple formed by Coqui and his wife. The Racoqui are represented with beards, they carry human femurs (of their parents) in the hands that symbolize their hereditary rights. The handcuffs show hairstyles with intertwined bows in the hair, in Zapotec style.